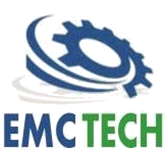 EMC Technologies Provides Java Training Classes , Autocad classes , CAD Training to all Students. EMC Technologies conducts classes in Autocad, CAD and Java Training. It is located in Papanaichenpalayam, Coimbatore. It takes Regular Classes- at the Institute.